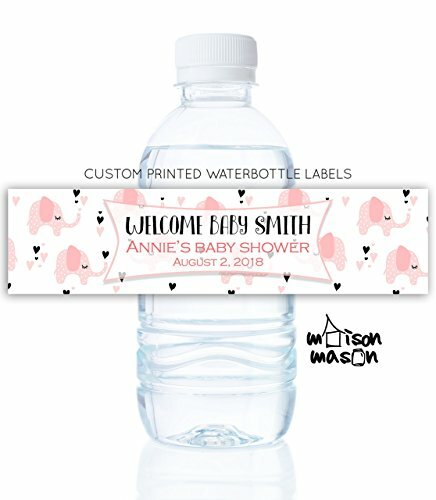 Make your celebration even more special with these personalized labels! These are top quality labels, professionally printed on water resistant matte white material. The ink will not bleed or smudge when the bottles are wet or submerged. These labels are 8" w x 2" h and will accommodate most standard sized water bottles. Our water bottle labels come in 10 pieces per set. If you have any questions about this product by MaisonMason, contact us by completing and submitting the form below. If you are looking for a specif part number, please include it with your message.